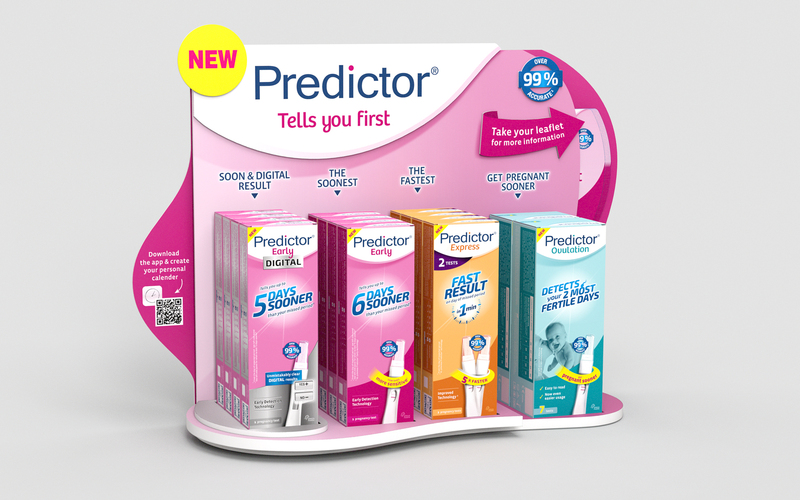 Predictor is Europe’s n°1 brand for pregnancy tests. 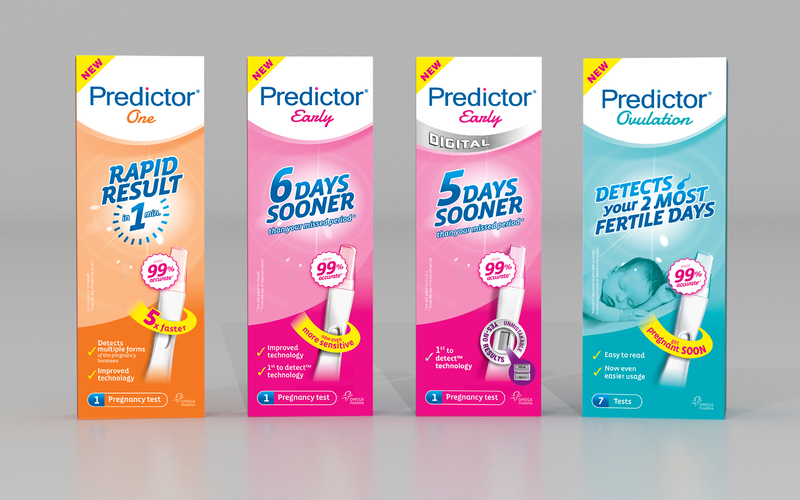 Mediamind was granted the complete brand restyling of all packagings and pharmacy counter displays. The master designs were then rolled out over several European countries in the proper language versions.